This is a rectangular flange New State Telephone Company porcelain sign. This particular New State Telephone Company sign is red with white print. 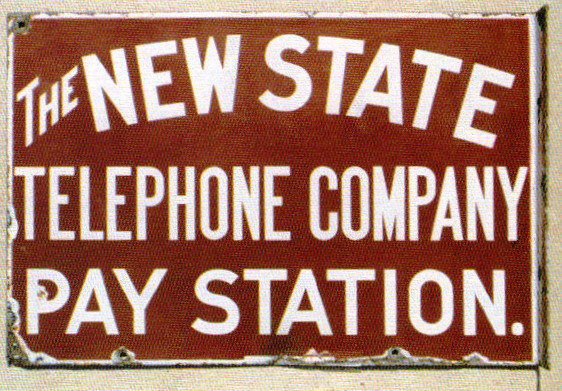 It reads, “The New State Telephone Company Pay Station”.